What Pitbull Dog Kennel Size Should I Get? 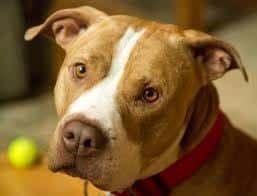 Have you ever come home from a long day of work, see nothing but a broken crate, furniture destroyed, and your pit bull roaming around unsupervised? 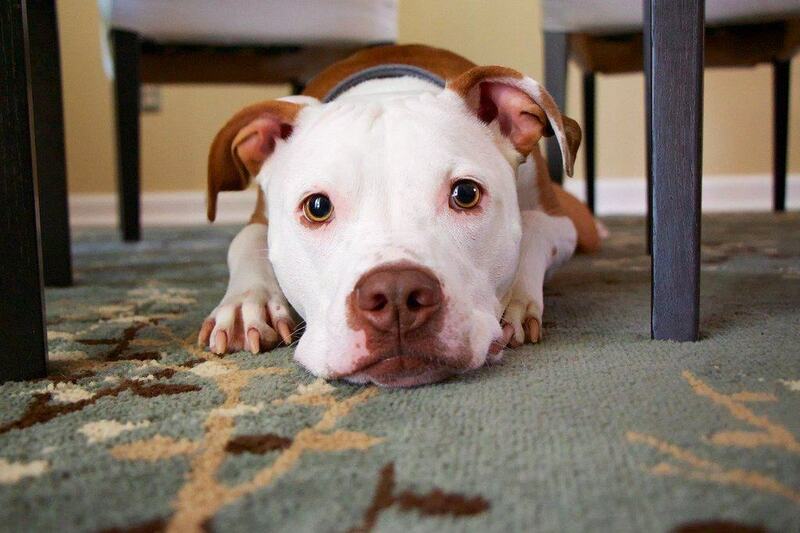 For these reasons, a heavy-duty crate is essential for every pit bull owner. They serve as a secure space for your dog to call its own, a place to retreat, and an effective housetraining tool. 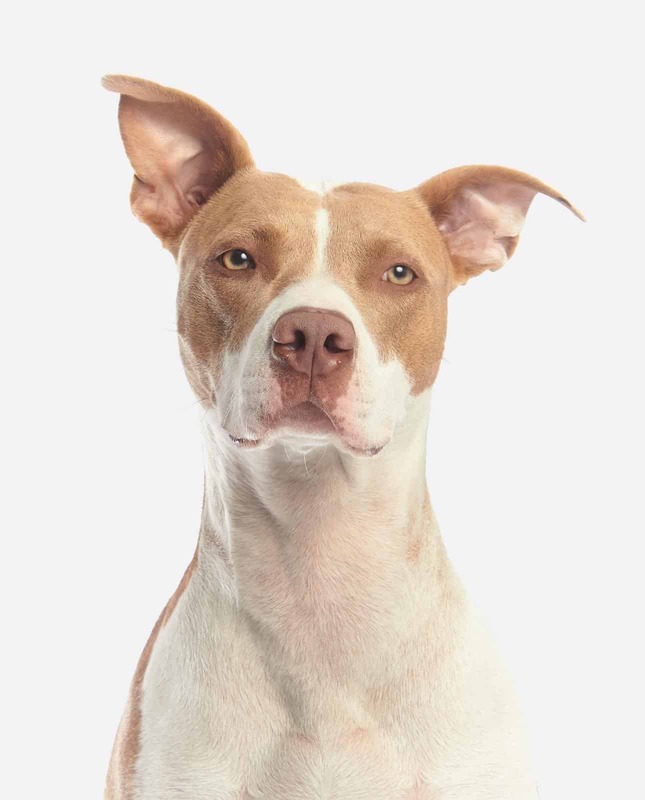 For example, it can be used to discipline your dog when it displays negative or undesired behavior and further aid in the prevention of destructive behavior. 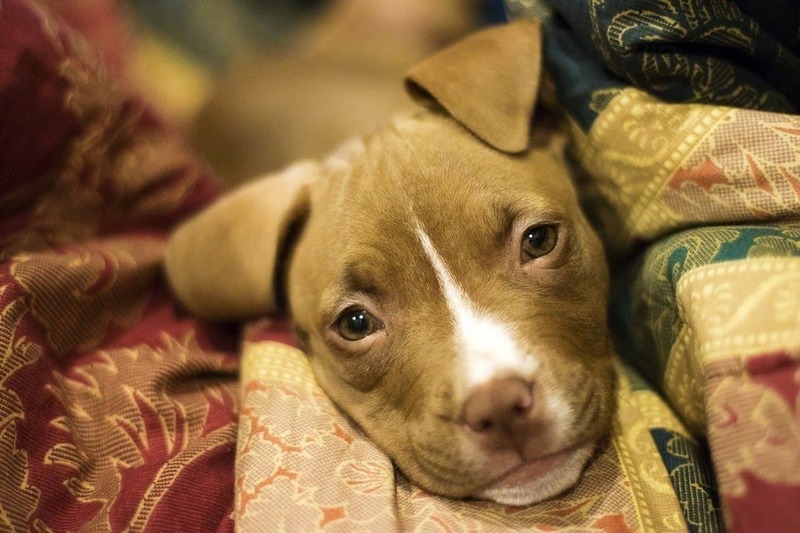 Although pit bulls are loyal pets, they are also instinctually aggressive with type-A personalities. 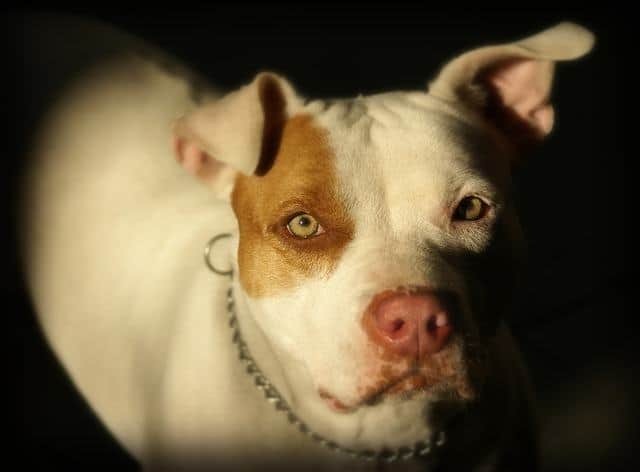 Combine the latter, with a pit bull’s strength and determination; you’ll probably find yourself with broken crates, where you’ll have to purchase more of them as you continue to search for the perfect heavy-duty crate to match your pit bull’s size and temperament. 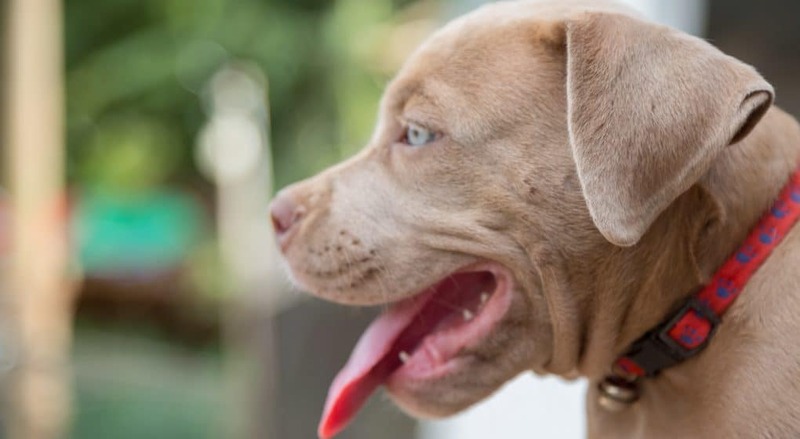 We’ve researched and created a guide that can help you decide on the best crates for pit bulls once and for all. There are a variety of materials that can be used to construct a heavy-duty crate, such as plastic, aluminum, steel, and much more. Each one has its pros and cons, so it really comes down to your preference. For example, heavy-duty steel crates are great for large, powerful dogs, such as a pit bull because they can sustain its strength and force. 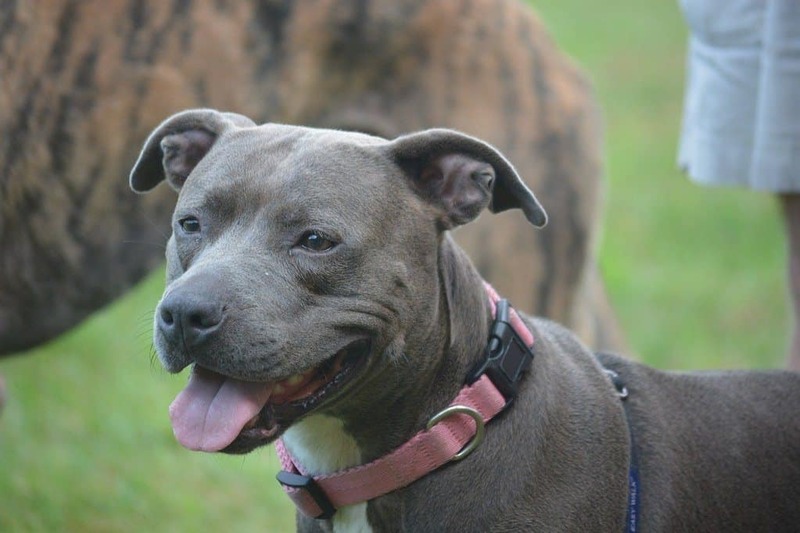 An owner doesn’t need to worry about finding a loose pit bull and a broken crate. 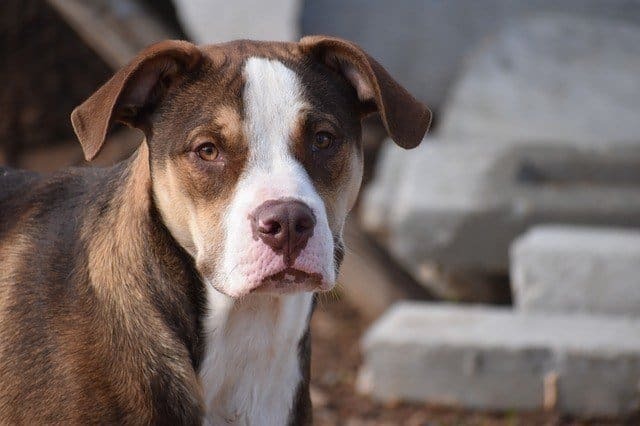 But depending on the strength, skill, and will of your pitbull, they may break-through the gap of the corner of a wire-wall crate, so a heavy-duty steel crate with galvanized steel walls, where there is no corner gap to break-out of, may be necessary. However, a steel crate can be somewhat noisy and rattle, especially if your dog is active. In contrast, a heavy-duty plastic crate is lightweight which makes it easy to transport; but they are easier for your dog to break-out. The ideal crate for your pitbull must be well ventilated, to allow a proper flow of oxygen. Also, a well-ventilated crate can help ease your pet’s stress if they get anxious or claustrophobic in confined spaces. Especially, if you’re an owner that has to leave their dog in a crate for an extended period of time. But more importantly, poorly ventilated crates allow air to stay stagnant, causing moisture to build, which may result in bacterial growth, which may hurt your dog’s health. So whichever crate you choose, whether it be plastic or metal, make sure it has proper ventilation. 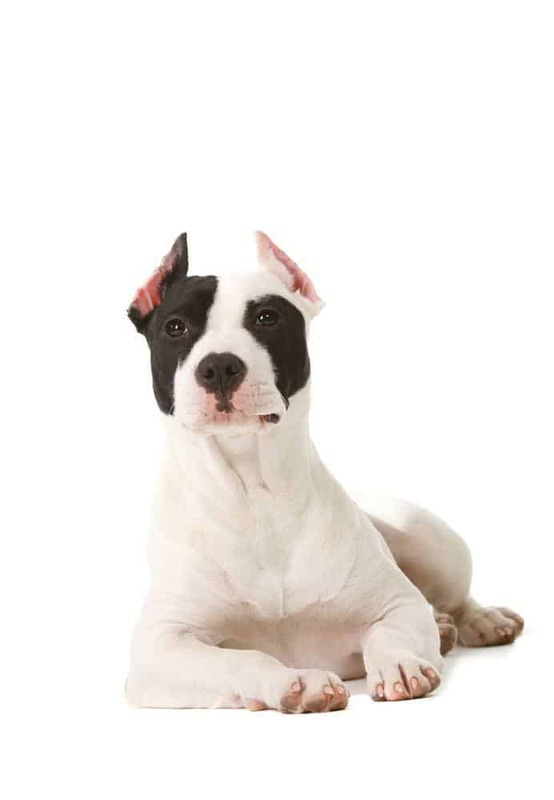 Kennels with metal wire or steel walls are popular among pit bull owners due to the quality of ventilation and durability. But if a plastic kennel is more convenient for you, make sure there are enough holes in the walls. 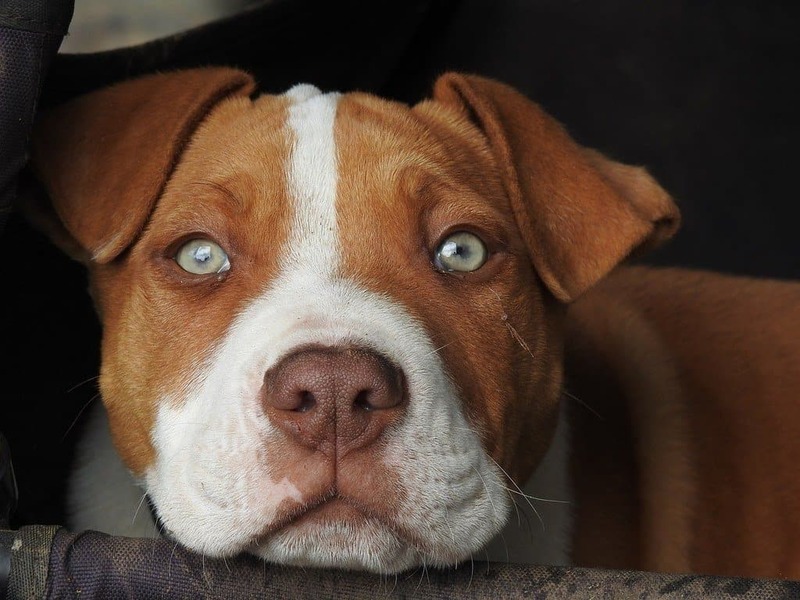 To ensure your pitbull doesn’t escape, look for a heavy-duty crate with latches and locks that are not easily accessible by your dog. Many of times I have seen pit bulls easily open crates that come with simple barrel locks. However, a slam latch is more effective in that it’s harder to manipulate, access, and open. Keeping the cage clean should be a priority. It is strongly recommended to choose a crate for your pitbull that is easy to keep clean, such as a crate with a removable bottom tray because they are extremely convenient. 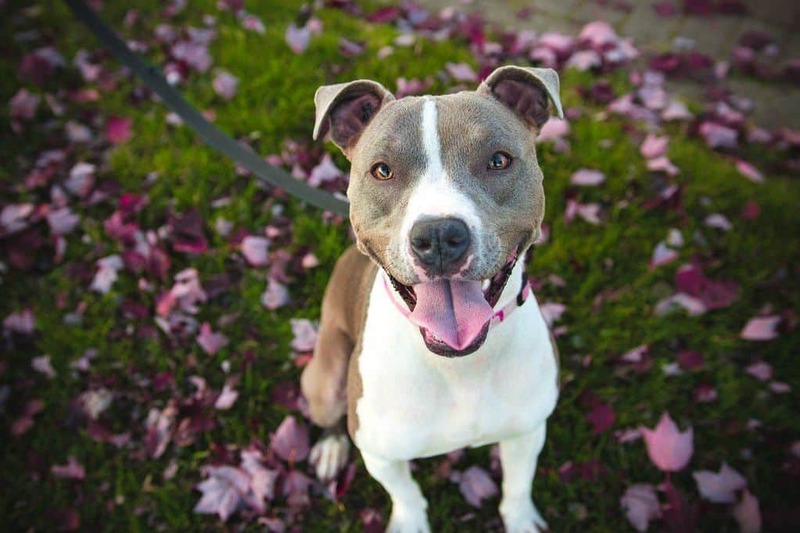 Below, we’ve picked our top choices specifically for pitbulls. Now, if you’re looking for more options for other breeds, then feel free to check out our top 20 dog crates guide. The Parpet is perfect for indoor or outdoor use. This product features a large single-door design, located in the front. 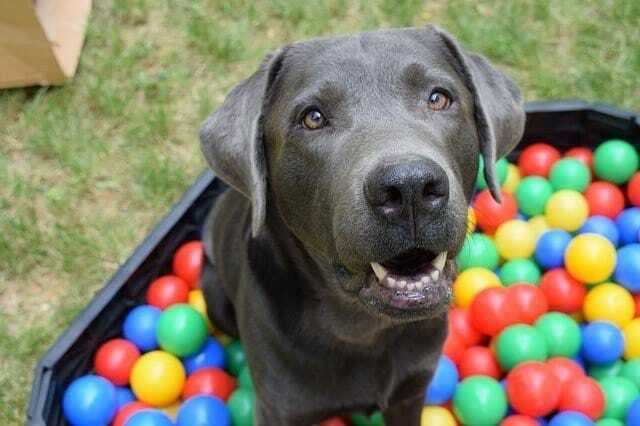 Its measurements are 42” x 30” x 31” (L x H x W) which can hold up to a 120-pound dog. It is also available in slightly smaller, 37” kennel model. The door is secured with two slide-bolt steel latches to prevent your dog from escaping. For security and durability, the frame is constructed of heavy-duty steel. This product is finished with a high-grade hammertone finish, non-toxic environmentally friendly paint, which makes it rust and chew resistant. This product is easy to transport and store due to its four wheels, in which two of them are lockable. The pit bull dog kennel is equipped with a grate floor and tray below, which can be removed by pulling the D-ring, for easy cleanup. This innovative design makes it easier to keep your dog clean and makes mess removal a breeze. The Parpet crate is one of our top choices. Dog’s waste can slip between 2 removable bottom trays. The EliteField is very durable, constructed of heavy duty steel wires. It comes with two doors for easy access, and are secured with slide-bolt latches. Its dimensions are 42″(L) X 28″(W) X 30″(H). Also, this cage has rounded edges, which is safer for pets. This product is finished with a black epoxy coating, which makes it waterproof and rust resistant. For easy transport and storage, the EliteField folds-up like a suitcase and comes with a plastic carrying handle, no tools needed. Its removable bottom tray makes this crate easy to clean and maintain. The manufacturer does note that this cage is designed more for well-trained dogs. Cannot withstand strength and force of large, strong breeds. This heavy-duty dog kennel will make a great outdoor play paradise for your pitbull. Its dimensions are 47.2″x47.2″x59″ (L x W x H). It is perfect for professional trainers and dog lovers alike. This cage is versatile which is good for playing, exercising, training, or simply keeping your pitbulls safe. Furthermore, this dog kennel provides ample exercise space while the steel bar walls help prevent mischief and unexpected accidents while enabling ventilation. Due to its sturdy and heavy-duty steel construction, this high-quality dog kennel is durable and built to last. 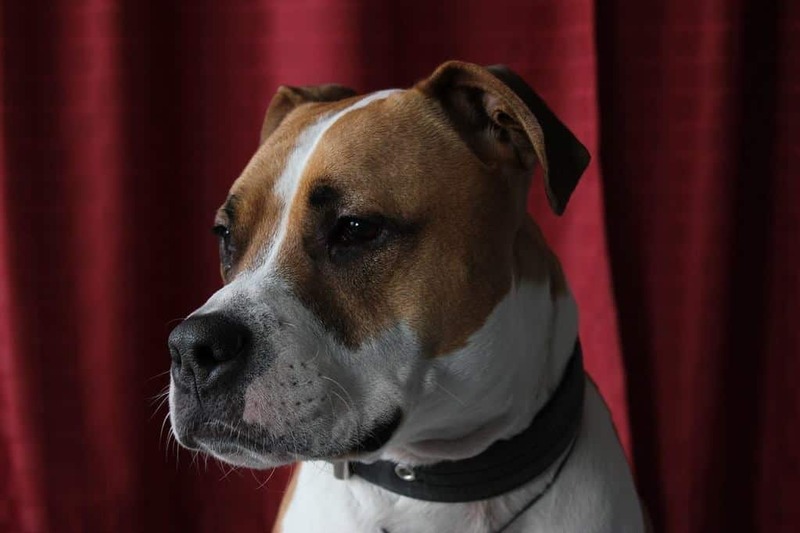 The hinged door has a lockable latch system which ensures extra security and safety for your pitbulls. Assembly is easy. A couple of critiques of this item are that (1) its priced rather high, but some say the price is worth the quality you get in return, and (2) there is no removable bottom tray, so cleaning might not be as convenient. This heavy duty crate is constructed with solid steel wires. It is quick and easy to set-up and fold-up. Also, it comes with two plastic carrying handles to move the dog cage from one location to another comfortably. The cage has a front and side door, in which both are secured with a safe and secure slide bolt latch. It comes with a composite plastic pan for easy cleanup in the event of an accident. It comes in various sizes, ranging from small to 2XL. The 2XL measures in at 48.8” x 38.4” x 32.8” (L x W x H), which is more than enough room for any sized dog. For the owners that want to let their dog grow into a large kennel, this kennel comes with a free divider panel for use while your puppy is still growing up. Easy cleaning with a composite plastic pan. Cannot withstand strength and force of large, strong dogs. This cage comes in black, and its dimensions are 42” x 28” x 30” (L x W x H). Its metal wires are reinforced and tested for durability, which means it is not easy to be damaged and can last a long time. The manufacturer notes that the M.E.R.A is designed more for kennel-trained dogs. It is simple and convenient to transport and store due to its ability to be folded flat. Plus, it is designed with double-doors, which makes it suitable for front and side entry. For easy cleaning and transportation, you can remove that plastic tray. Easy cleaning with composite plastic pan. 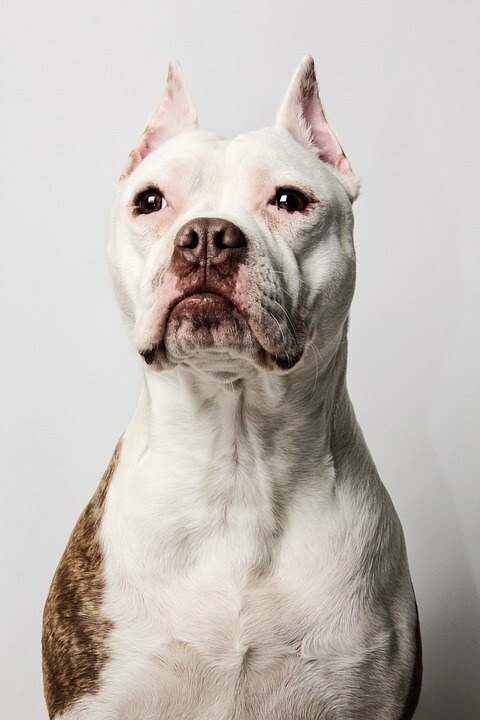 This question is subjective because not all pit bulls are the same. 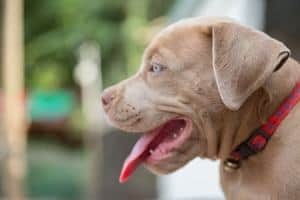 There is no standard size kennel for your pit bull, but there are a few factors a pet owner should consider. Such as the space available for the cage and the amount of space they need to feel comfortable, especially if your dog will be in a cage for hours. Make sure your dog has enough room to comfortably stand-up, lay-down, and turn-around. 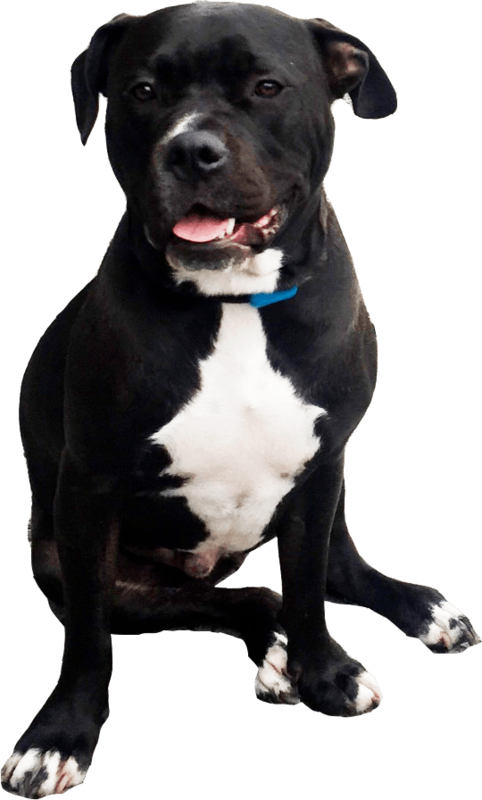 You want to make sure your kennel has at least 2-4 inches of extra space for your pit bull, in regards to its height, length, and width. Make sure the doorway is wide and tall enough for your pit bull to walk in and out easily. Pay attention to the maximum weight capacity of the crate, and be sure your dog weighs below that. 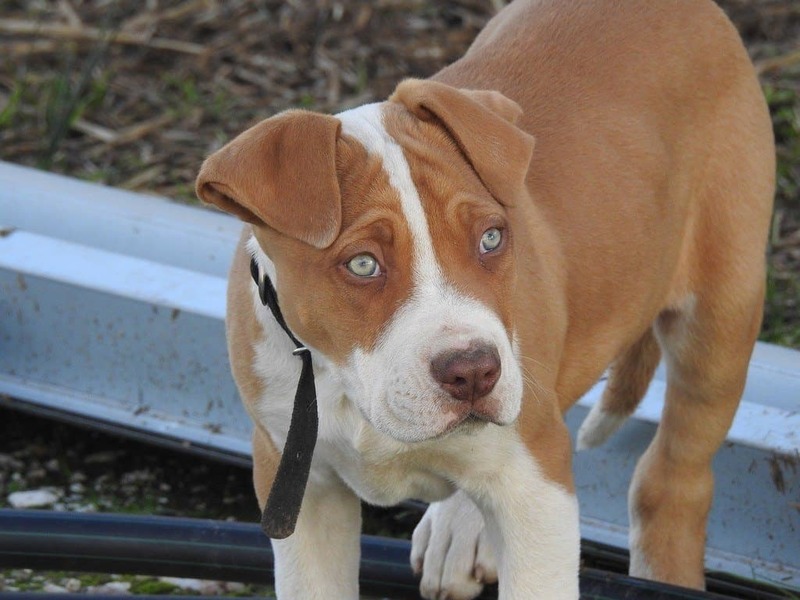 Finally, if you get a pit bull when it is a puppy, you have to decide if you want to start with a small crate, and then go up in size as they grow. Or, go straight for the large crate and let your pit bull grow into it, it comes down to your preference. 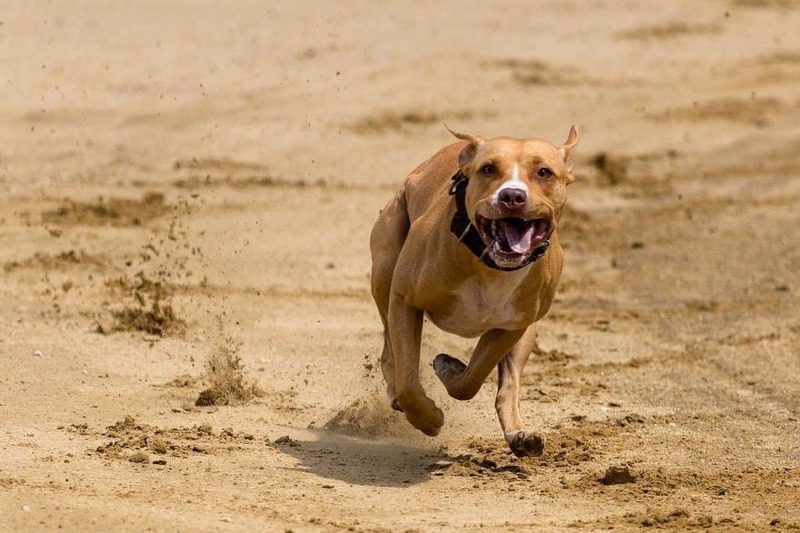 How Do Pit Bulls Escape? As we shared in the beginning, we know the canine can escape from its crate, but the question is “how”? How are they able to escape from a crate, that numerous reviews claimed to be “escape proof”? Well, after much research, I’ve boiled it down to the following strategies used by pit bulls and other dogs to “break-out” of their crate. If you’re able to figure out exactly how they escape, then you’ll be able to fix it effectively. Some cages, like the wire dog crates available on the market, use small hardware and connectors to attach the walls and doors. 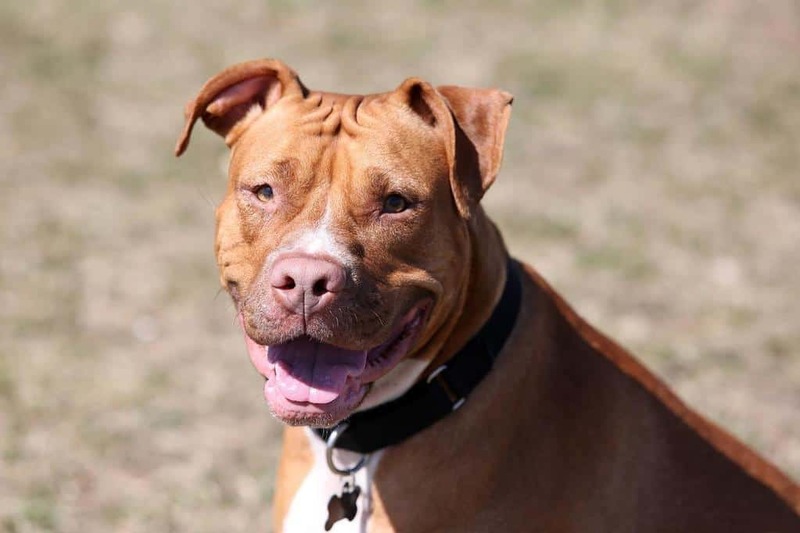 However, if these areas of the crate are exposed, some pit bulls can gnaw and wear those pieces down until they break-off, and the dog breaks through the resulting opening. Pitbulls are very clever animals; we just don’t give them enough credit. And if given enough time, they can manipulate and open the latch of a crate. However, there are some crates for pitbulls with latches that are more difficult to manipulate, like a slam-latch. I’ve seen this done either one of two ways. Either the dog, with pure will and determination, burst through the corner of the wire crate. Or, they chewed the connectors and hardware first, then busted right through the wire crate. This can be dangerous, especially if there is no one home to supervise the dog because if the escape attempt is haphazard, this may result in your canine getting stuck, possibly by its neck, in the crate. What are Some Extra Tips to Make Sure My Dog Doesn’t Escape? If your pup escapes through the corner seams of the crate, then reinforce these parts of the crates with carabiners. Give your dog a toy to chew, or even a puzzle to keep your dog occupied. 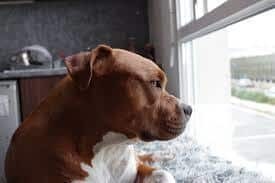 Let your dog exercise to burn off that extra energy, before placing them in the crate, especially if you’re going to away for an extended period of time. Experiment with different pitbull dog kennel placements around the house. You may find that some places are more effective than others. Crate train your Pit Bull. For 2019, our top dog crates for pitbull is the Gelinzon Heavy Duty Metal Dog Crate. It is perfect for indoor and outdoor use, is durable, and heavy duty enough to prevent any breakouts. Its removable bottom trays make the crate easy to clean and maintain, and it is easy to fold-up and transport. Plus, it comes with a three-year warranty. Although the crate’s price tag is high, it is definitely worth every dollar. 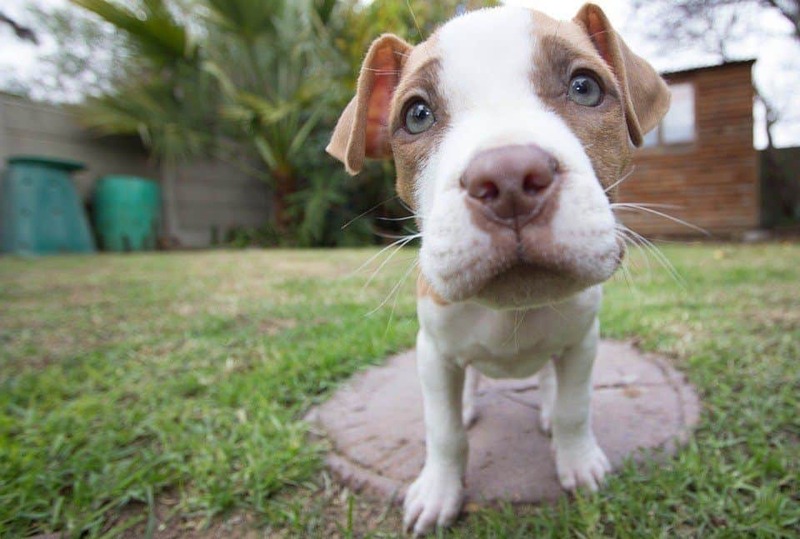 We hope you enjoyed reading our dog crates for pitbull page.